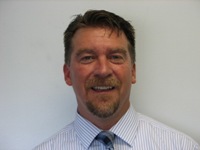 Hi, my name is Rex Weaver, and I am the Service Director at Rothrock Motor Sales. I remember calling a credit card company about some charges that I thought were incorrect. As I prepared for the call, my dislike for this company grew, and I was ready to take it out on whoever might answer the phone. I was sure I was right, and this company had no right to take advantage of me, “the little guy”. The phone was answered by a very friendly person, but I wasn’t having any of that, because I was on a mission. As the call progressed, though, I realized that I wasn’t talking to the “company,” but instead a person. And that person was just doing their job. They weren’t the company; they were an employee of the company. Of course, this thought made me think of my own company. When people call a car dealership (and more specifically, the service department) they may think that they are calling a company, but they are actually calling me or one of my teammates. And do you know who we are? We are the same people you see at the store or the baseball game. You see us in church or at the movies. Now, while we are part of a great company and we all share the Rothrock Family vision, we are people just like you, and we are here to help. Because when we see you and your families at the store or out and about, we want to be able to be proud of what we are able to do for you at Rothrock. We want to be able to see you be happy, and we hope you would want the same for us. One simple way to accomplish this is by giving us feedback. If something doesn’t go the way you expected, we want you to tell us. Our obligation to you is to take that feedback and be productive with it, and to actually make changes to make the experience better for you and all our other clients the next time and every other time afterwards. It is not by the absence of problems, but by an appropriate response to a problem that shows the character of a company. Some of the best business relationships I have are with clients and other businesses where not every aspect of our business together went as planned, but the response was effective and well received. So while we strive for the best experience every time you come in for service, you can rest assured that if you have a problem, we are here to help. Like most of the Rothrock Family, we live in the Lehigh Valley. Our children go to school here and we are proud to be part of this community, and we all look forward to seeing you not only at the dealership, but also in our community. Previous Previous post: Should I go to the dealer when my vehicle needs service?